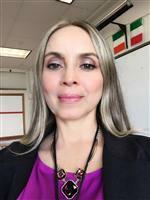 My name is Ms. Barahona, I'm originally from Ecuador, South América. I lived in different parts of the world. I moved to the United States, 8 years ago. I graduated from University of Central Florida. I have a Master degree in Spanish. I enjoyed cooking, traveling, dancing but most of all I enjoy teaching Spanish.